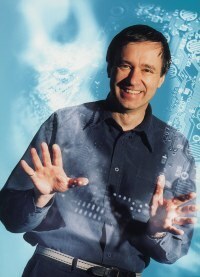 Peter Duffett-Smith is a university lecturer in Physics at the Cavendish Laboratory, University of Cambridge, UK. He is also a fellow of Downing College, Cambridge, and of the Royal Astronomical Society. His research is in the field of radio astronomy, and he is a member of staff at the Mullard Radio Astronomy Observatory at the Cavendish Laboratory. He has written many papers in astronomy and is the inventor of the CURSOR radio positioning system.